After a successful campaign Warwickshire County Council has reversed its decision to cut funding for Live & Local in 2015-16. This means we are secure in providing shows to our promoters and audiences for another year, although we are not sure what’s in store further ahead. 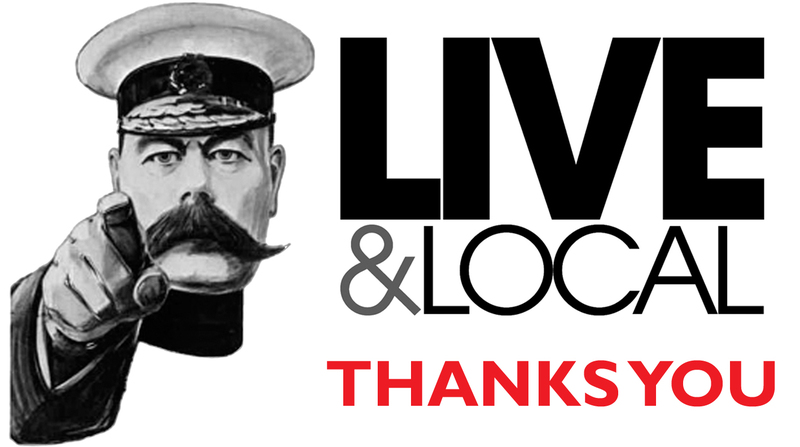 Everyone at Live & Local would like to THANK YOU for all the support you have given, we couldn’t have done it without you! Good to hear about Warwks funding being restored. I’ve quoted that case during the thank you’s at pretty much every MEN IN GENERAL gig for the last 12 months or so. Great news.